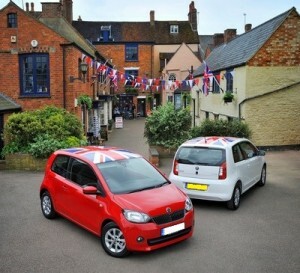 The all-new Citigo will be marking off the beginning of a new era in SKODA’s 117-year lifetime. Being the 6th model in SKODA’s award-winning line-up, and doubling as SKODA’s first city car, the new SKODA Citigo broadens the brand’s appeal to new customers globally. The car boasts both a classically simple outlook and charismatic design that any car driver in the UK would love to purchase or lease should he or she be in a position of doing so. The new Skoda Citigo sets completely new standards in the UK’s automobile industry bringing forth new levels of convenience, comfort, technical sophistication and environmental considerations. This Citigo will be remembered as SKODA’s debut in the ever-growing city car segment. In addition to the above, the car also boasts as the first model to sport SKODA’s refined ‘winged arrow’, the brands corporate badge. The Skoda Citigo treats its buyers to a spacious cabin which is capable of accommodating a total of four adults whilst guaranteeing comfort at the same time. This car owes its superb performance on the road to the 1.0-litre petrol engine that boasts a power output of over 75PS, including the choice of stop-start technologies and brake energy recuperation. Apart from the above mentioned features, the new Citigo flaunts a combined fuel economy of about 68.9mpg and produces CO2 emissions which are as low as 96g/km. A purchase or lease of this model will definitely not disappoint any car driver instead; the model promises absolute value and real power fit for the UK’s auto-industry. If you’re looking to purchase or lease a new Skoda contact our sales team. Alternatively, visit our website where you will find new and used Skoda’s available for sale or on finance.